We recently reported how the people of India has swallowed a massive 1,473 tons of silver in the month of May 2017. Not only was this one of the largest months for Indian silver imports it was more ounces of silver than the U.S. Mint had sold Silver Eagles in the whole of 2015. 2015 set the new all-time high for American Silver Eagle sales and it took the US Mint all year to do what India did in one month! Impressive to say the least. 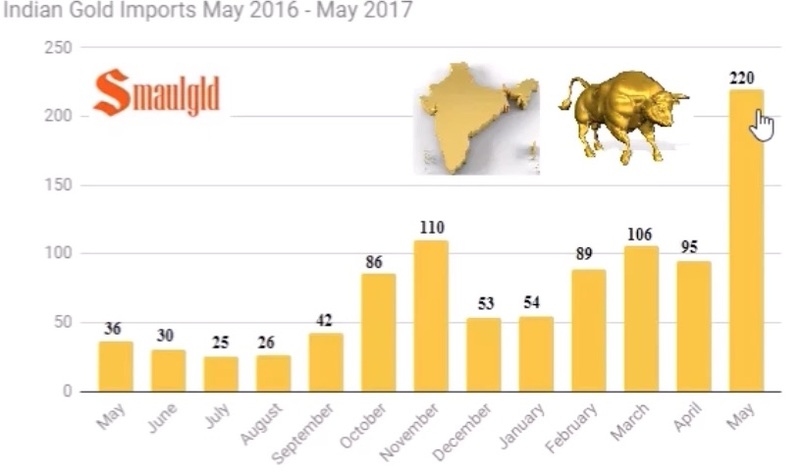 Now we learn that India also imported a massive volume of gold during the month of May 2017, more than double any other month in the last 12 months. Take a look at this chart. The volume of gold moved through India in May represents close, X China, to 10% of global gold mining production. How much did gold rise due to all this physical demand? It appears to have risen about $10-$11/ounce. 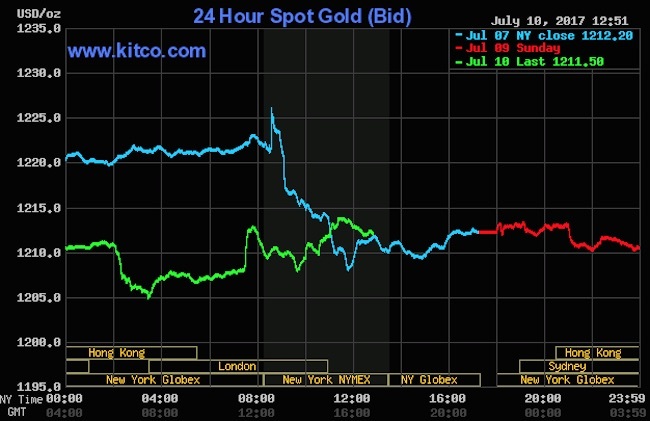 Nothing shocking or stunning about a $10 rise in the price of gold. India offloaded 220 tons of gold and the price of gold moved less $12/ounce. Also, this has had zero short/long term impact on the price of gold because as of July 10, 2017 gold is trading for less than $1,212/ounce. A significant move to the downside. So, how is the price of gold determined if India can import close to 10% of global annual gold production and within 45 days gold has moved to the downside by more than $40/ounce? Recently, there was a well-respected voice in the gold community stating a sovereign entity would be offloading some 250 tons of gold in one order and this would cause gold to rise exponentially. Well, not according to the information laid out above. 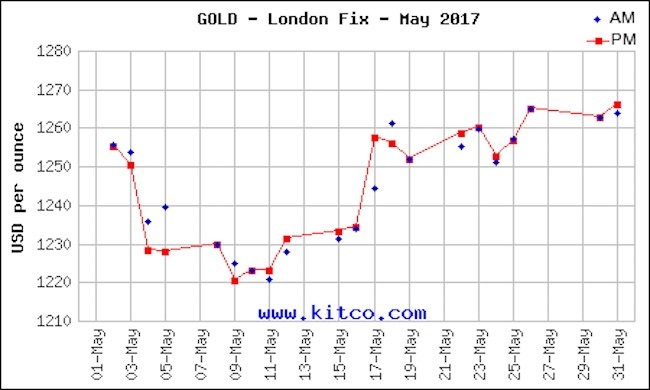 If India can claim 220 tons of gold during the month of May and within 45 days gold has moved down by approximately 3.5%, should we expect the same with this future unknown sovereign acquiring 250 tons of gold? Which, by the way represents, more than 10% of global gold production. If this does in fact come to fruition that would mean more than 20% of global gold production would be removed in two months. Assuming all the other channels for gold acquisition did not shut down and continued acquiring gold as they have in all the other months this would mean there would need to be some real physical gold coming to market. I presume, the market can handle it, as the physical gold market has shown little to no signs of strain due to India’s acquisition. The Shanghai Gold Exchange premiums have not risen dramatically, we haven’t heard about any other gold market experiencing a massive increase in premium to the LBMA rigged price of gold. The real question is will India follow through in June and July? If the pattern above plays out, and I hope this sovereign does in fact acquire 250 tons of gold, that would mean gold would be down close to $1,175/ounce by the end of August, which would make for a great opportunity for all us little guys to stack, stack, stack!! And this brings me back to the same question I have been asking since at least 2013 – where is the gold coming from?